One of downtown Vancouver’s premier spaces for the public to gather, the Vancouver Art Gallery North Plaza has been host to many public community events and gatherings, including the 2010 Winter Olympic Games. 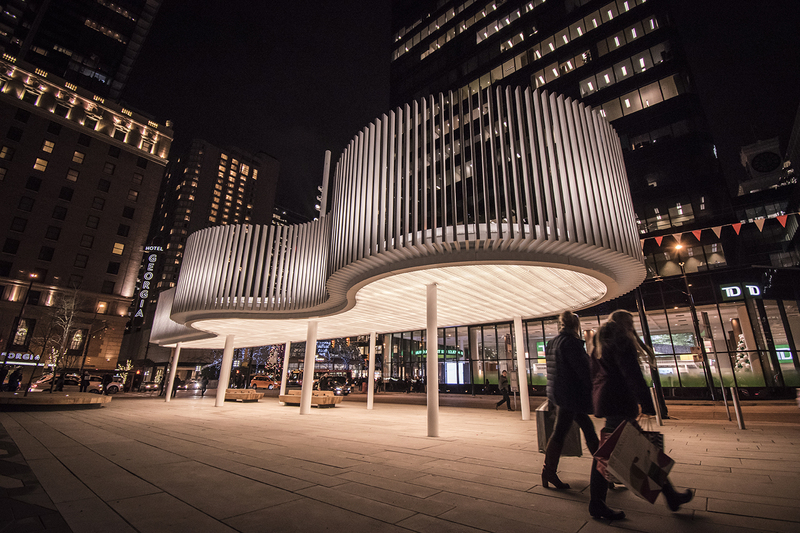 The revitalization of the plaza was focussed on creating a vibrant space to bring people together and to utilize the space in a multitude of ways. The goal is to create a plaza that reflects the needs and desires of the public, respects its location at the historical entry to the Vancouver Art Gallery building and its relationship to Robson Square. It includes elements of openness and flexibility, seating, trees, shelter and a wide variety of public events.